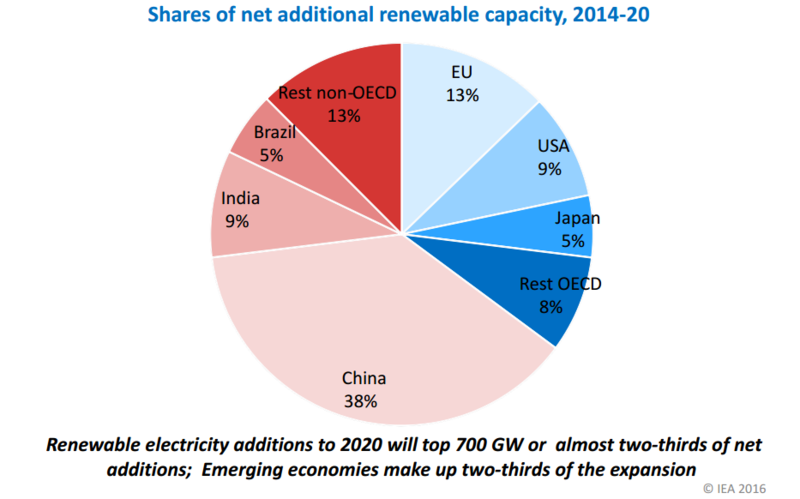 In its upcoming World Energy Outlook, the International Energy Agency (IEA) is “once again happily increasing our growth projections of renewable energy”, says Executive Director Fatih Birol in an interview. But a world without fossil fuels is not yet in sight. “There are fossil fuels and fossil fuels. Coal and oil should be discouraged. 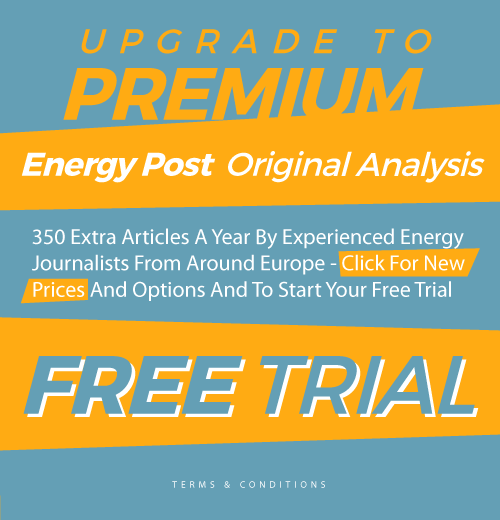 Natural gas will continue to play an important role in even our most stringent scenarios.” This interview was first published in World Energy Focus 2016, a magazine produced by Energy Post for the World Energy Congress in Istanbul. Fatih Birol, the Turkish-born Executive Director of the Paris-based IEA, needs little introduction in the energy sector. As Chief Economist and guiding spirit of the IEA’s annual World Energy Outlook (WEO), arguably the most influential publication in the global international energy world, he was for years “Mister IEA” behind a succession of politically appointed Executive Directors. 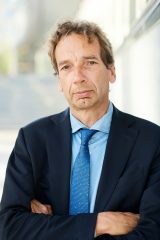 Last year, the board of the IEA decided to break with tradition and appoint their Chief Economist as new Executive Director, an unusual move that nevertheless seemed quite logical to most outside observers. 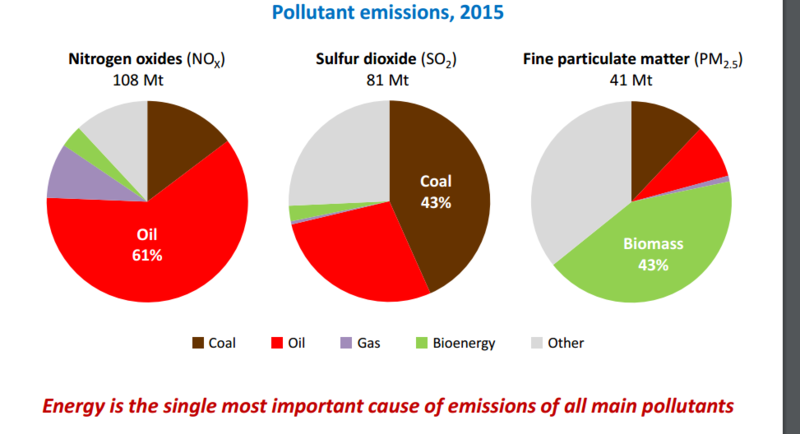 The IEA’s pollution report shows that coal and oil are the main causes of the major air pollutants (nitrogren oxides and sulfur dioxide), and as these two fossil fuels are also the main causes of energy-related greenhouse gas emissions, for Birol it is clear that governments should take measures to discourage their use. Indeed, more stringent measures than they are doing at the moment, for “developments in the energy sector are still not in line with the 2 degree warming target”, notes Birol. Birol has not given up hope that the world will turn away from the unmitigated use of coal and oil in time to avoid climate catastrophe. And he wants the IEA to be at the heart of this transformation. Birol has not given up hope that the world will turn away from the unmitigated use of coal and oil in time to avoid climate catastrophe. And he wants the IEA to be at the heart of this transformation. His two strategic aims for the IEA are to turn it into a “hub” for renewable energy and energy efficiency, and to turn it from an OECD organisation into a global institution. Both these aims were given a boost in June when the IEA was chosen to become the host of the Clean Energy Ministerial (CEM). This is a high-level global forum, with 24 member countries (including Australia, Brazil, China, France, Germany, India, Indonesia, Japan, Korea, Mexico, Russia, Saudi Arabia, South Africa, the UK and the US), which are trying to accelerate the deployment of clean energy by sharing best practices. Its Secretariat has up to now been hosted by the US – it was an initiative of the Obama Administration – but will now be transferred to the IEA – to ensure its continuity in view of the political turbulence in the US. “A number of organisations applied to host the CEM Secretariat and we were unanimously chosen”, says Birol. Birol now wants his organisation to take a further leap and become a truly global institution. If he succeeeds, that would be an energy transformation in its own right. The IEA has been trying for some time to expand beyond the limits prescribed by its OECD origins. The organisation was founded in 1974 to help the OECD countries coordinate a collective response to disruptions in the oil supply after the 1973/74 oil crisis. 42 years later, the world has changed radically. Today, most of the energy demand growth is coming from non-OECD countries. This means the IEA must expand its remit to include the “emerging” economies or become increasingly irrelevant. In recent years, countries like Indonesia, China and Thailand have already become “associate members” of the IEA. Birol now wants his organisation to take a further leap and become a truly global institution. If he succeeeds, that would be an energy transformation in its own right.